The first of my 3 PIF gifts has been received by Laura M.! 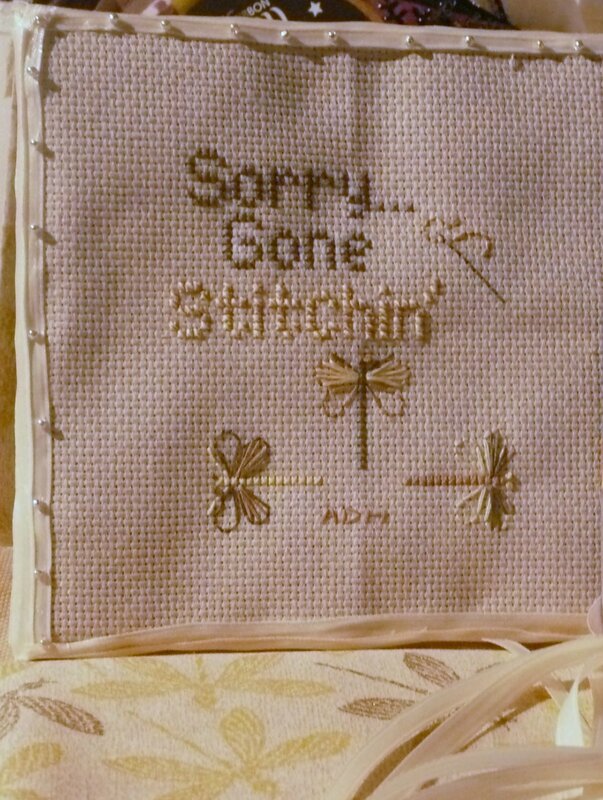 I stitched a freebie from Sharon M. (xstitchhappy) for her, and added some dragonflies, which are Laura’s favorite. I finished it as a flat-fold (this was my first), and included the rest of the backing fabric, some cream ribbon, a purple bead mix for her scissor fob-making, and some of my hand-dyed fabric. The irridescent dragonflies on the backing fabric inspired the color choice and the stitching method – I “tweeded” 2 strands each of the brown and yellow floss to give “Stitchin” and the thread in the needle interesting, almost irridescent, texture. The dragonflies were not part of the original pattern, but they came from another of Sharon’s designs. It was so much fun to stitch for Laura. 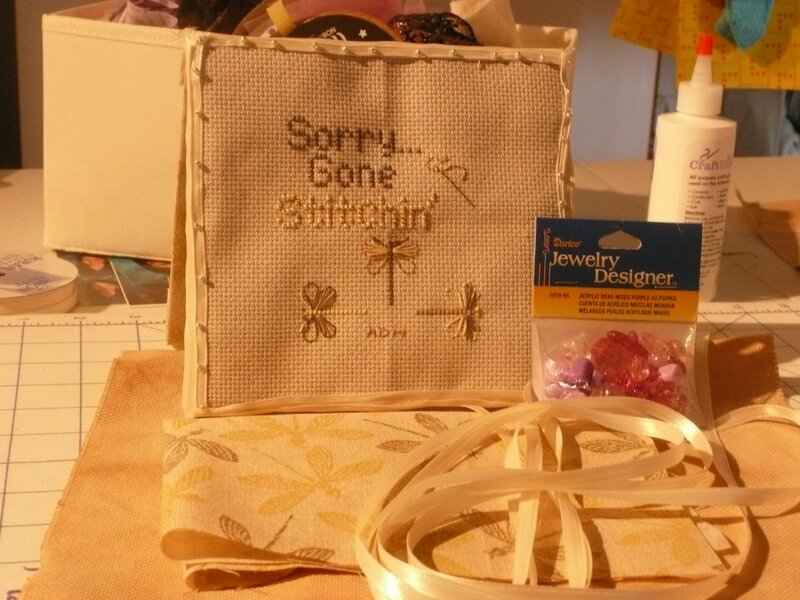 She’s become one of my closest stitching and blogging friends, and it’s a pleasure to stitch for someone you feel like you know. If you read my blog and not hers, please take a minute to visit her blog. She’s also accepting sign-ups for a PIF – she’ll make something hand-made for you in the next 365 days, and all you have to do is make a post on your blog promising to make something hand-made for anyone who signs up under you. Is the screen changing before your eyes? Very cute! I’m sure she loves it!